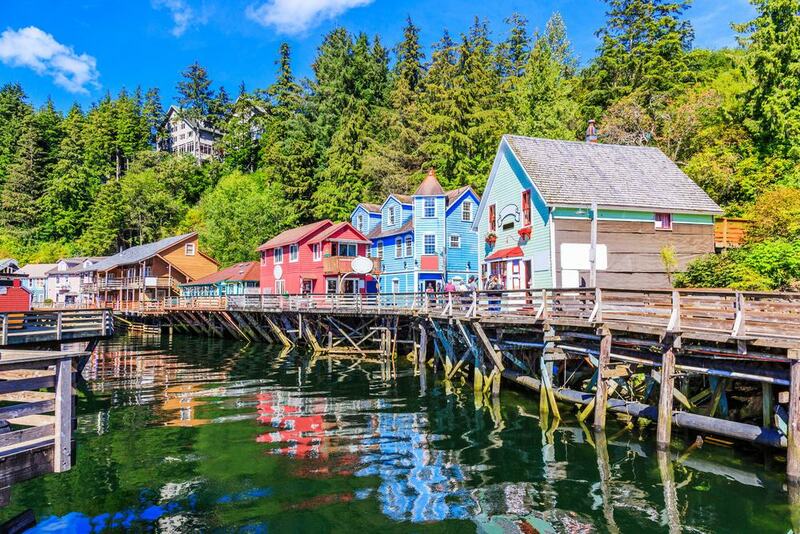 Describing itself as the “Salmon Capital of the World” Ketchikan is well known for its fishing, beautiful scenery and rich Native culture. The people who live here are proud of their culture and heritage and you’ll find them willing to share their knowledge of the local area with you, especially the rangers. The scenery is like something out of a movie, you’ll find stunning forests, waterfalls, lakes, creeks and fantastic coastlines. Everywhere you look, you will find something new and intriguing to look at. Art is at the heart of this community. So many local people contribute to the art scene in their own way, you’ll be drawn to take away a piece for your memories. Whatever the weather you should arrange to hike in this forest. The trails go miles into the Tongass National Forest so consulting a ranger or guide is a good idea. Sometimes if you get up and out early enough you’ll have the whole trail to yourself. The whole forest covers 17 million acres and is the largest forest in the US. You don’t want to get lost here. Wildlife that resides here includes beavers, otters, moose and bears and you’ll also see salmon in the streams and perhaps whales on the coast. These fjords are the beauty you have come to see in Alaska. Expect gorgeous blue lakes, towering waterfalls, icy peaks and sprawling glacial rainforest valleys. To see the amazing wilderness, you can either take a flight on a float plane and see the area from above or take a cruise and explore from the water. 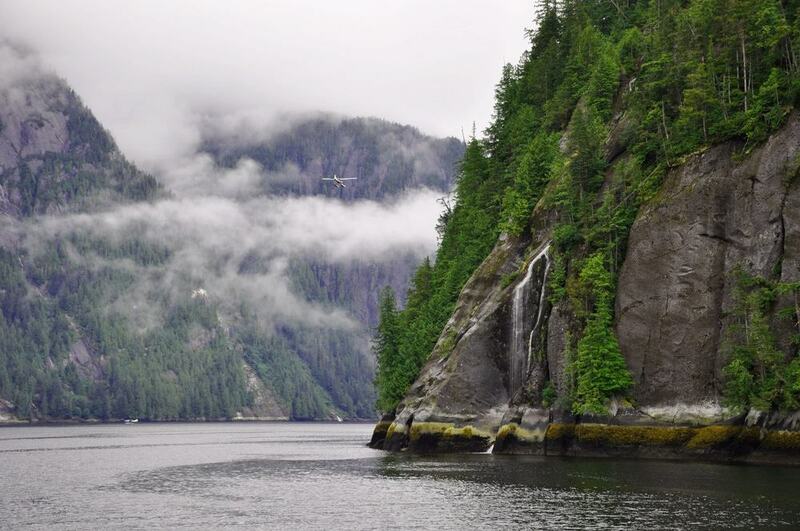 However you see this stunning scenic area, you must add it to your list when visiting Ketchikan. You may see some animals and birds during your tour, but it is such a vast place that spotting wildlife is not guaranteed. Anything you want to know about Ketchikan and wider Alaska you can find at this hepful resource centre. 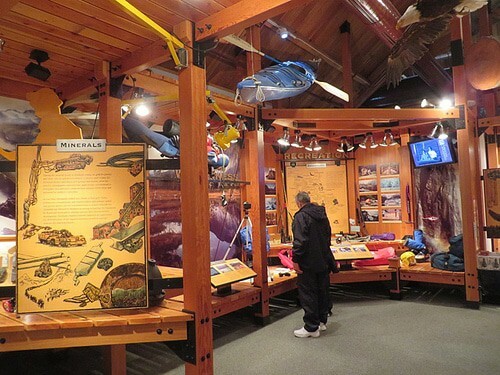 Close to the docks, the Southeast Alaska Discovery Centre should be one of the first things you do here when visiting. Learn about the local native people and how the forest is used to make a living today. As well as, the ecology and natural systems at play. Kids will enjoy the junior ranger activities and games on offer which encourage learning and playing at the same time. If you want an adventurous activity to try whilst in Ketchikan, you could book a zipline tour. 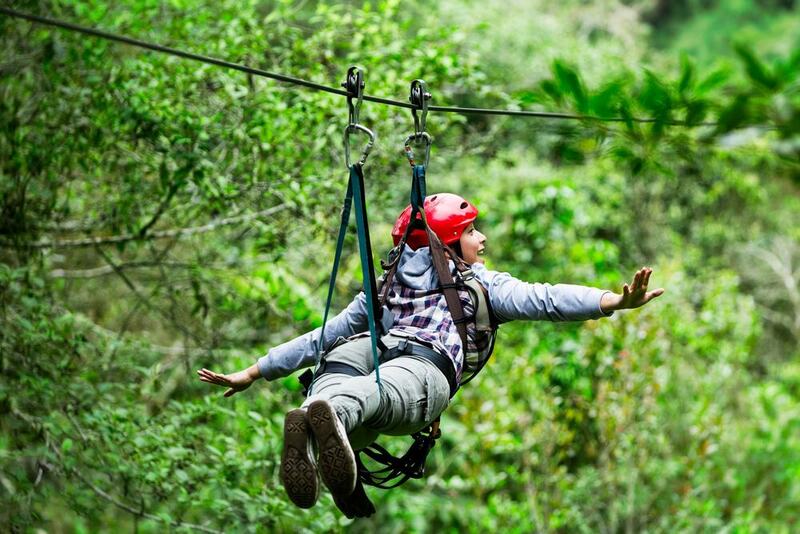 Make your way through the forest by way of ziplines, sky bridges, and rappels. Don’t worry safety and ecology are on the forefront as care has been taken to ensure the local area is affected as little as possible. Some of the ziplines are over 600 feet long and all the way through you’ll have fantastic views of the forest and you may even see bears and bald eagles from your lofty heights, just keep your eyes peeled. 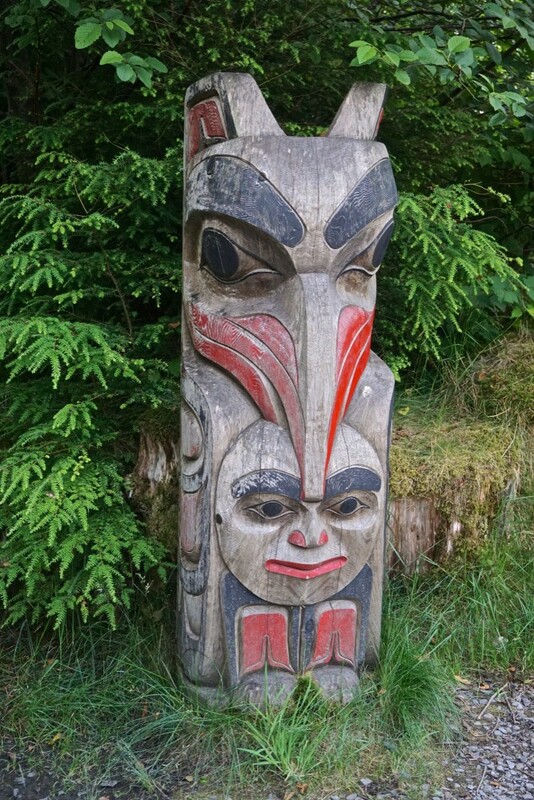 Potlatch Totem Park is found on historic Tlingit Native fishing grounds on the shores of the Tongass National Park. Here you will find carved wood, houses, totem poles and panels most created by the talented female artist Brita Alander. The totems include designs such as the Raven, the killer whale, Thunderbird and wolves which feature heavily in Tlingit mythology. You can learn about the carving process by visiting the studio where there are live demonstrations for you to enjoy. There is also an antique car collection and rare antique firearms exhibit to explore. 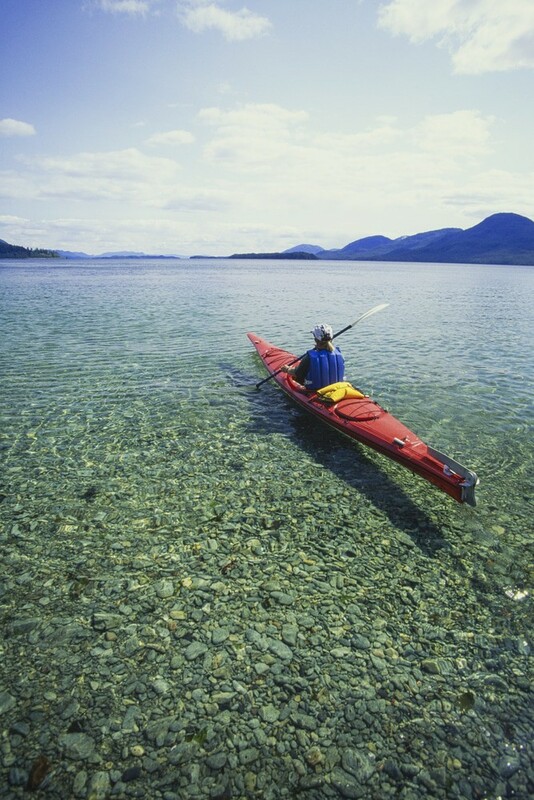 If you want to see the beautiful town of Ketchikan and surrounding islands by sea, then kayaking is a great choice. Take to the sea from the dock area and kayak as part or a guided group enjoying an introduction into the top sights and beautiful views of the coastline and creeks. 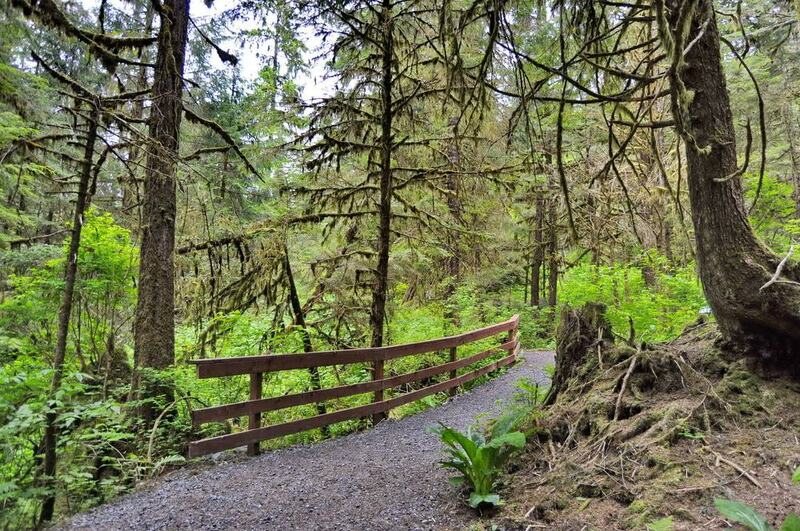 Marvel at Ketchikan Creek, spot native wildlife and marine life and explore the Tongass Narrows and Pennock Island. Most tour companies will include everything you need for the tour including safety equipment and waterproof jackets, dry bags and anything else you might need. 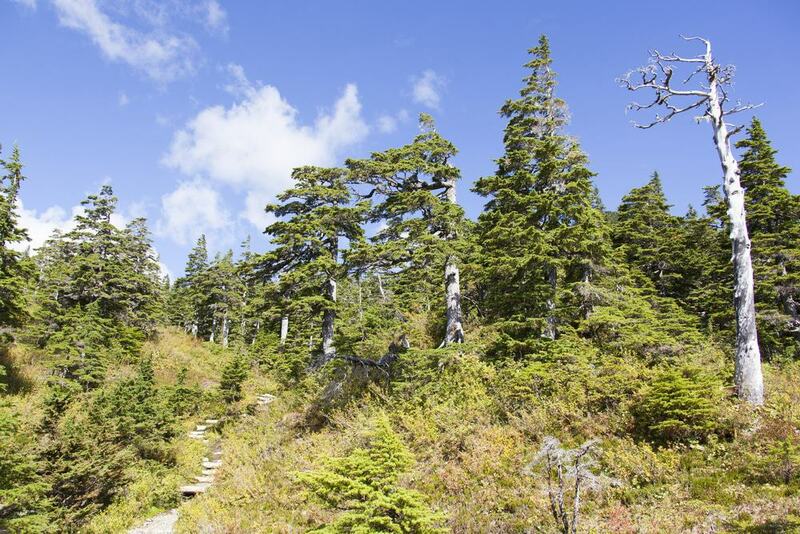 This mountain trail just a short walk from Ketchikan, is often described as one of the best day hikes in Alaska. It is not an easy hike, so you must be relatively fit before you take this on. But if you are ready for a difficult but rewarding day with spectacular views then this is the trail for you. The elevation is 3001 ft and the trail takes about two and a half hours to reach the summit making it about a 6 hour round trip if you want to spend some time at the lookout. Be wary of changing weather and make sure you know where you are going, bringing the right gear with you. This former red-light district is now turned into an arts and craft and museum area. You can take a guided tour to learn more about the streets past, or you can explore by yourself with a self-guided map. You can tour the area by boat or by walking, depending on how you want to explore. 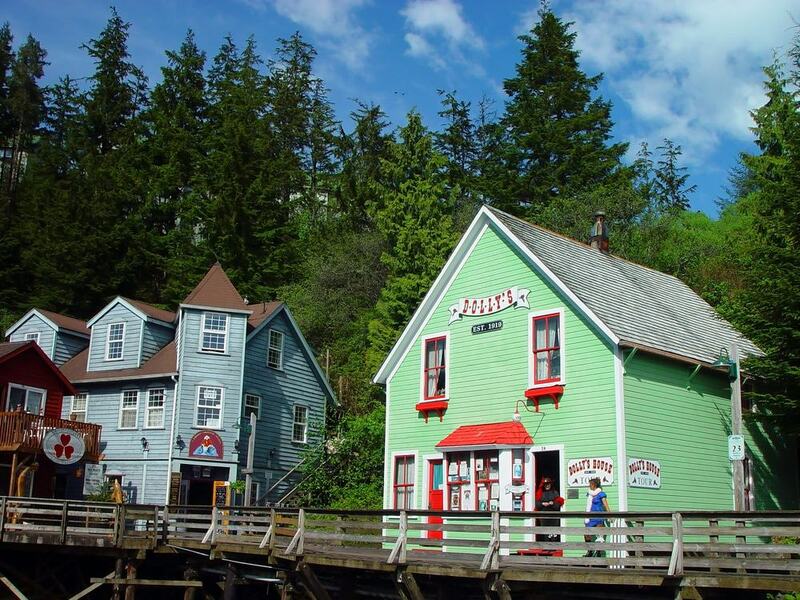 Visit the little shops, see salmon swimming upstream and try freshly cooked crab legs. A place that shouldn’t be missed and definitely bring your camera, the walkway is known as the most photographed street in Alaska. 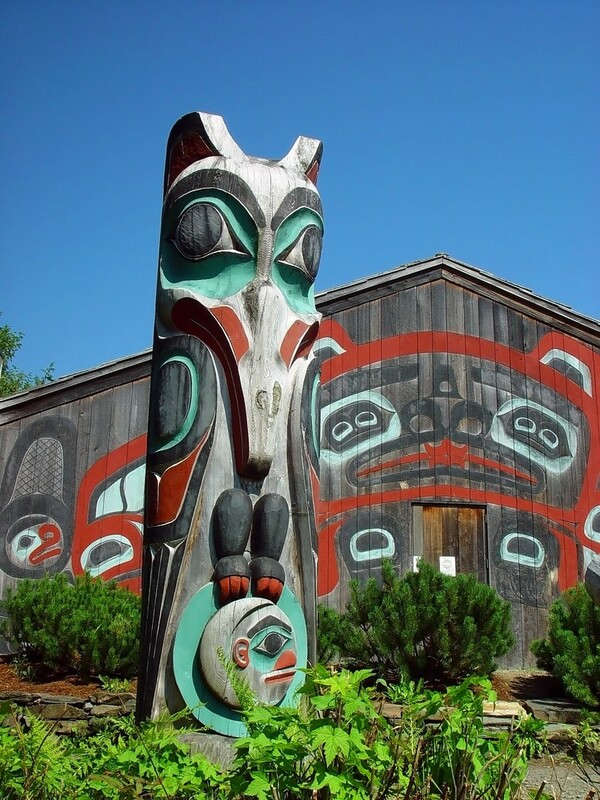 Here you can enjoy visiting the amazingly carved totem poles and the Clan House which features a fantastic carving of a Beaver on the outside. Many tours will include an explanation of the totems and their meanings and a native dance show inside the Clan House. You may even be able to join in with the traditional dancing at the end. There are over 25 totems to view and all in a glacier rainforest setting. You can also visit the carving shed where you will see native carvers work on their new products. Located on creek street, the old red-light district, Dolly’s House is the only remaining previous entertainment venue of its day. The area was popular with workers, from fisherman to miners looking for a good time. The house is easy to identify, the green dolls house appearance looks like it would have in the original days. Found at number 24 Creek Street. Inside is the museum that gives you an insight into the ladies of the night who lived and worked here. There are plenty of pictures of Dolly and remnants of her past until the house was closed permanently in 1954. 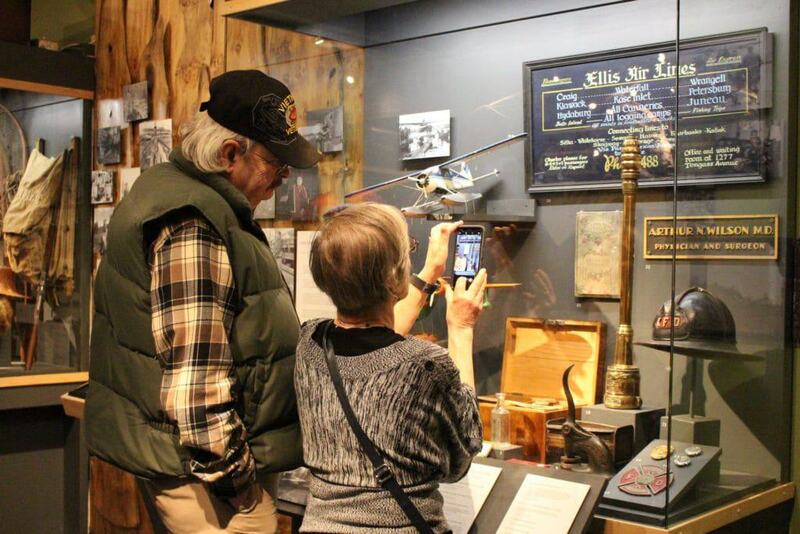 Tongass Historical Museum gives you an overview of the entire history of Ketchikan. Inside you will find interesting artefacts from the area, many photographs of people from the past and plenty of information about the town. Right from the native inhabitants to prospectors. Then from the settlers and beyond until modern day living in Ketchikan today. Exhibits include the various professions that made the town a popular place including salmon fishing, gold mining and logging. The museum is very close to the cruise terminal, so it is popular with tourists disembarking from the boats into the town. 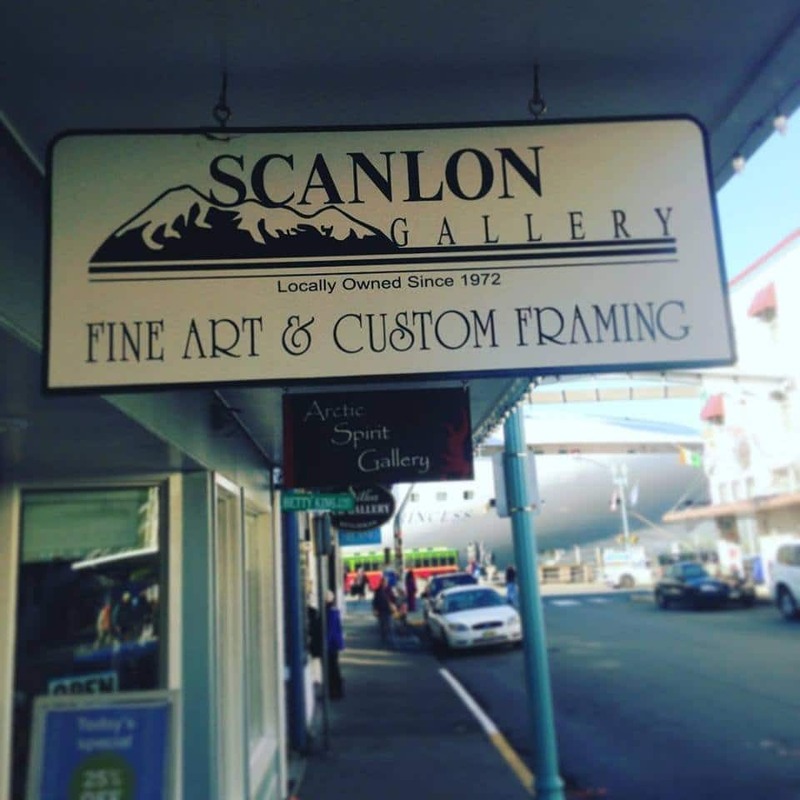 A fine art gallery in Ketchikan which hosts and sells Alaskan art in many forms. You’ll find original paintings, handmade jewellery, wood carving and sculptures as well as many more. It is a nice place to browse and see the different influences Ketchikan, Tongass and wider Alaska has had on artists in the area. Of course, the scenery is inspirational, but the different aspects are interesting to explore. Lastly, if you want an authentic souvenir to take home you can always make a purchase and take an original piece of art with you. You will see salmon prepared in so many ways you may never have seen before. 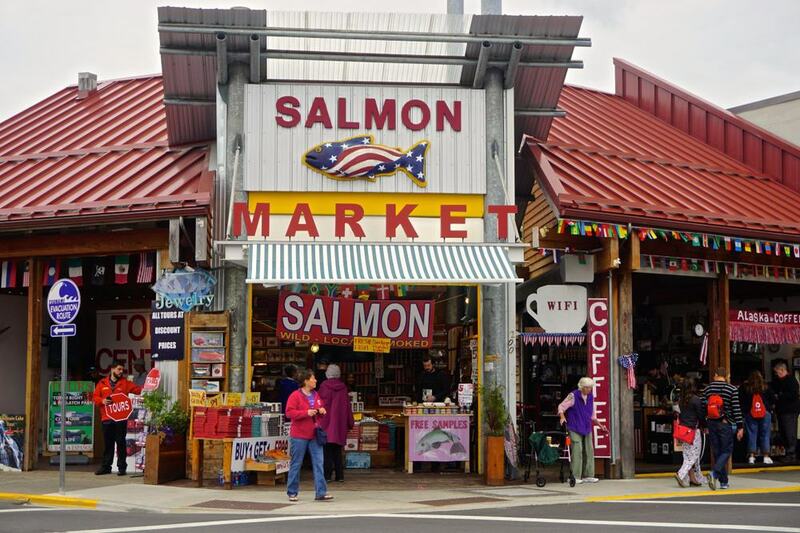 Whether you want to buy some salmon to take away or just take in the sights and sounds at this wonderful market you should visit the salmon market. It is an excellent way to get an insight into local life and explore just how much of an influence salmon fishing has on the local community and businesses. But it is not only salmon you will find in this market. Other seafood, reindeer meat and jams and jellies are also available to browse and purchase. If you would like some peace and quiet and a great place for families with small kids to run around, then rotary beach is a good choice. 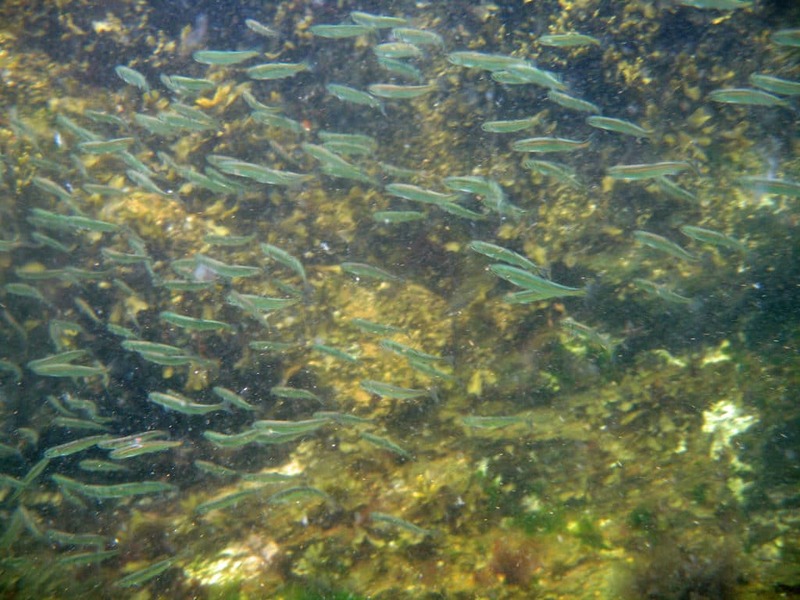 At low tide you can enjoy exploring rock pools and spotting mussels and barnacles, tiny crabs, and small fish. Kids will love the adventure of discovering creatures and the lovely landscape. You might even catch a sight of killer whales passing by the beach, they get surprisingly close. For an adventurous way of exploring the coasts, snorkelling and scuba tours offer a unique way of seeing wildlife. Enjoy a fully inclusive tour with PADI Professional Dive masters and SCUBA Instructors in the water with you. You can snorkel safely and comfortably with all equipment and transportation provided as long as you book with a reputable tour company such as Snorkel Alaska which operates the Mountain Point Snorkelling Adventure in Ketchikan. Expect to see sea urchins, starfish and jellyfish with the prospect of viewing whales and other marine life.